Autobiographically inspired, Rhys created stories of the slightly adrift every woman looking for an anchor in a cold, hostile landscape. 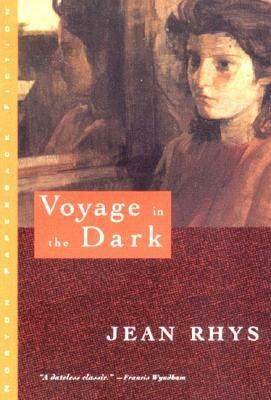 Her heroine in Voyage in the Dark is Anna Morgan, a young woman in her late teens, relocated to England from her beloved home in the West Indies. She works as a chorus girl, traveling the country to dank boarding rooms and shabby theaters. Fortune seems to grab her one day in the shape of a wealthy, older man who sets her up in London, calling for her as his needs dictate. Anna falls in love with him, and allows herself to rely on him totally. When he grows tired of her, she begins a long spiraling decline. This is poignant, tense writing by the woman whom A. Alvarez called "the best living English novelist.